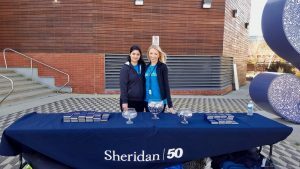 Sheridan College celebrated its 50th birthday on Monday as hundreds of students, staff, and members of the Oakville community joined together to celebrate the historic event. The event took place in front of the SCAET building at Trafalgar Campus. 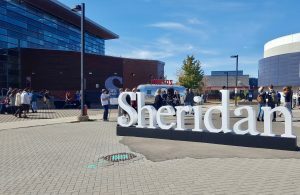 A barbecue lunch, screening of a new Sheridan social documentary, a photo booth, and an unveiling of the new Medicine Wheel Garden were available to attend. A museum on wheels that featured work by Sheridan students was also on site. Laughter and smiles filled the air while upbeat music was played throughout the afternoon. The event captured how far Sheridan has come since 1967. 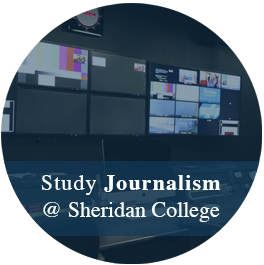 Sheridan had started with only 17 programs, and now has more than 120, providing a place for students to learn and creating an atmosphere that many call home. A new Sheridan sign was brought to the front of the school for the event. Sheridan continues to evolve throughout the years. 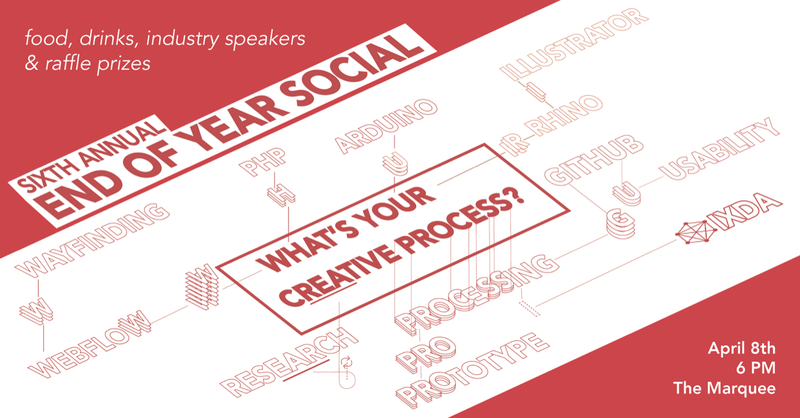 In 2000, the Centre for Animation and Emerging Technologies (SCAET) opened at Trafalgar Campus. “I like that Sheridan has its own separate Business campus and it’s something that’s so convenient to Mississauga,” says Syed. Sheridan will be installing Canada’s largest solar carport at Davis Campus in order to become a zero-waste community by 2020. The birthday event was a way to showcase not only Sheridan achievements, but how hardworking and involved students and staff are. The activities and documentary showed the dedication the Sheridan community has to building a bigger and better school. The 50th anniversary is a day that will be remembered. The community posted on Twitter with #sheridan50 throughout the week to remind others how important this day means to not only students and staff, but all cities with a Sheridan community. Alexandra has a passion for animals, the environment and sushi.